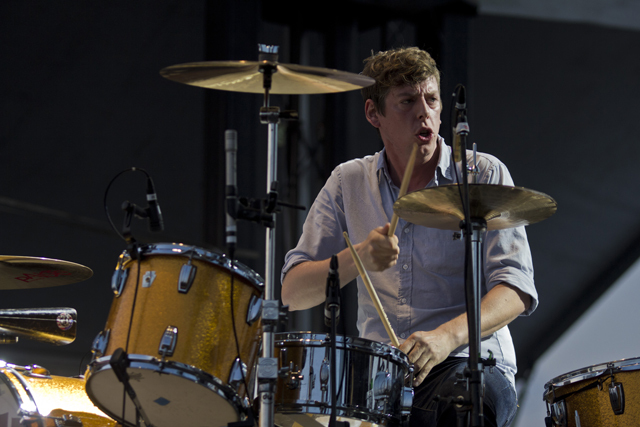 And SiriusXM bags another major rock-star host: After adding Dave Grohl and Eddie Vedder to their roster, the satellite radio network has given The Black Keys’ drummerPatrick Carney his own weekly program. Airing on channel 35 (Serious XMU), Serious Boredom will debut tomorrow, December 20th, at 8 P.M. EST. New episodes will run the first Thursday of every month starting in January. “I’ve wanted to do a DJ gig like this for a while now,” Carney said in a statement, “and am looking forward to being on air.” The Black Key will use his airtime to introduce listeners to his favorite indie artists from past and present, plus sample some of his personal collection. Episode one promises music from Pavement, Guided By Voices, Yo La Tengo, and a new duet from The Moldy Peaches’ Adam Green and Little Joy’s Binki Shapiro. Though not as exciting as his radio show, relive Carney’s gripping run-in with paparazzi below.